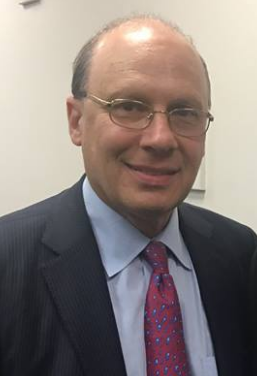 Kenneth Abramowitz is a Managing General Partner and co-founder of NGN Capital, a $450 million worldwide healthcare venture capital fund. Previously, he was generally considered to be one of the world’s top Wall Street analysts on medical devices and/or services. A longtime member of CFNS, he has also been a staunch supporter and contributor to other organizations that are fighting to preserve liberty and protect America from Jihadism. He is active in over 25 groups dedicated to “saving western civilization” and gives 100 speeches per year on that subject. He serves on several boards, including The Study of Global Antisemitism (ISGAP), London Center, American Center for Democracy (ACD), and EMET. Educated and trained at both MIT (S.M.) and Harvard University (Ph.D.), Dr. Saxton has had extensive involvement in the United States Department of Defense and intelligence arenas. He has been a NASA consultant, headed research projects under assignment to the US Army, participated in programs related to strategic cooperation between the US and Middle East countries, and worked in the intelligence community. He is President of Friends of Intelligence Practitioners, and a member of the Association for Intelligence Officers. Among his notable achievements in the Middle East, he conceived and directed a program to bring cadets and midshipmen from US military academies to Israel to learn about the region and meet their counterparts. Dr. Saxton also has broad experience in coordinating and operating seminars and conferences on both regional and national levels. 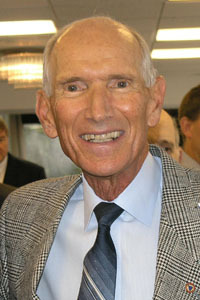 He created the first-ever computer/IT conference for Federal government and the first Federal Office Automation Conference; and, founded and chaired the highly successful National Intelligence Conference (INTELCON) that was held in Washington, DC in 2005 and 2006. After serving in the U.S. Air Force during the Korean War, Mr. Lebowitz embarked on a 40-year career in the apparel industry, beginning with formal schooling in marketing at Johns Hopkins University. Subsequently, he held major positions in the retail and manufacturing sectors, culminating as Chairman and CEO of an international company with sales offices in 54 countries. He attributes much of his career success to training and experience as a motivational speaker. By combining his ability to communicate in this manner with a major commitment to reach out to others on national security issues that he studies and tracks extensively, he has earned a reputation for being an erudite commentator on those subjects.